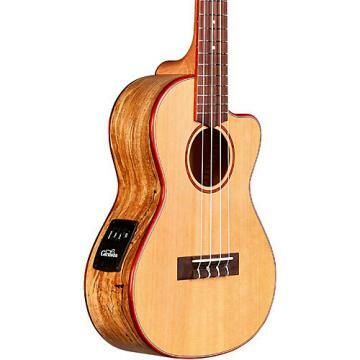 The 35T-CE tenor uke features all solid acacia for the top, back, and sides which give it a clear, bright tone, and distinctive figured appearance. It includes a beautiful rosewood bridge, binding, and fingerboard. The 35T-CE also features a soft cutaway and the L.R. Baggs Five.O pickup, a small, lightweight pickup specifically engineered for the ukulele's unique size and voice. The styling is refined and sleek, using abalone for the inlaid rosette and rosewood for the binding, capped off with Cordoba's signature elevated headstock with a figured Acacia overlay. The finish is a hand-rubbed polyurethane, applied as thinly as possible for maximum resonance. Other features include a black TUSQ nut and saddle, chrome Grover tuners, and a Cordoba polyfoam case. The 35T-CE belongs to Cordoba's 30 Series, a premium line of boutique, all-solid tenor ukuleles approached from a classical or Spanish guitar-building perspective. Most notably, Cordoba is using an integrated neck joint or "Spanish Heel" instead of a traditional dovetail joint to join the body and neck of the ukulele. This method of construction offers a lighter weight and more stable heel joint that increases resonance and is less prone to movement as the ukulele ages. 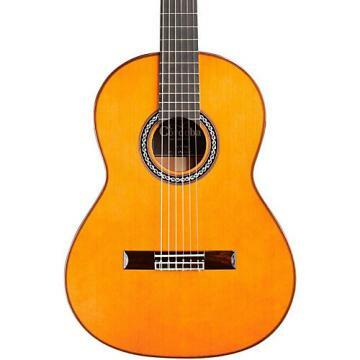 Cordoba collaborated with renowned luthier Pepe Romero Jr. on the 30 Series, adopting Romero's vision of building ukuleles as if they are small guitars using traditional Spanish building methods. 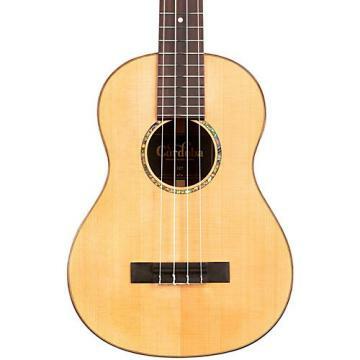 The result is an incredibly lightweight tenor ukulele with a deeper and wider body, featuring a Spanish heel neck joint, fan bracing, and a wider fingerboard for easy playability. This boutique uke is sure to inspire and impress. Order today! This is a lot of instrument for the money. The quality of components and craftsmanship are very good as you take the step up into this intermediate+ uke. The tone and resonance are the biggest differences from their beginner models. It's also a complete joy to look at with it's glossy exotic solid wood top, back and sides! The grain was matched well and had just enough variation to make it interesting and unique. A great value that I'm certain my daughter will own for a lifetime! No real need to upgrade as this offers tremendous headroom for growth. .Learning uke, but wanted a quality instrument. Got what I wanted.